Grab your coffee my friends, because today I have a little Sunday inspiration for you. 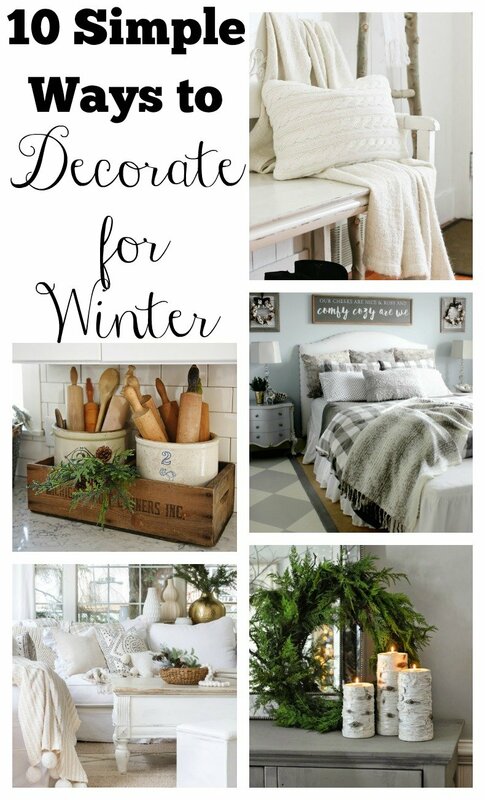 I’m sharing 10 simple ways to decorate for winter. This is all about easy, no-fuss ways to cozy up your home for the cold, dreary days of January and February. And probably March. And April. And maybe even early May if you live in Colorado like I do. Yeah, I’m not kidding. But that’s beside the point. I’m not here to complain about winter. Nope. Not gonna do it. Today is all about beautiful and simple winter decor that will make you want to embrace this season instead of wish it away. 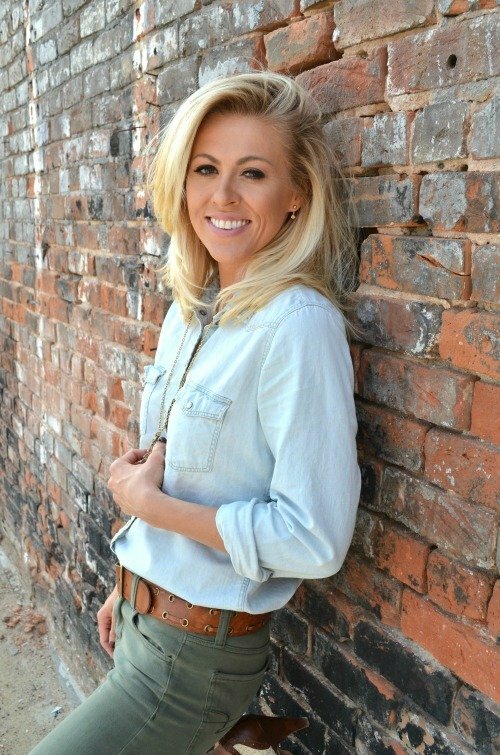 I’ve rounded up a great collection from some of my favorite bloggers. Enjoy! 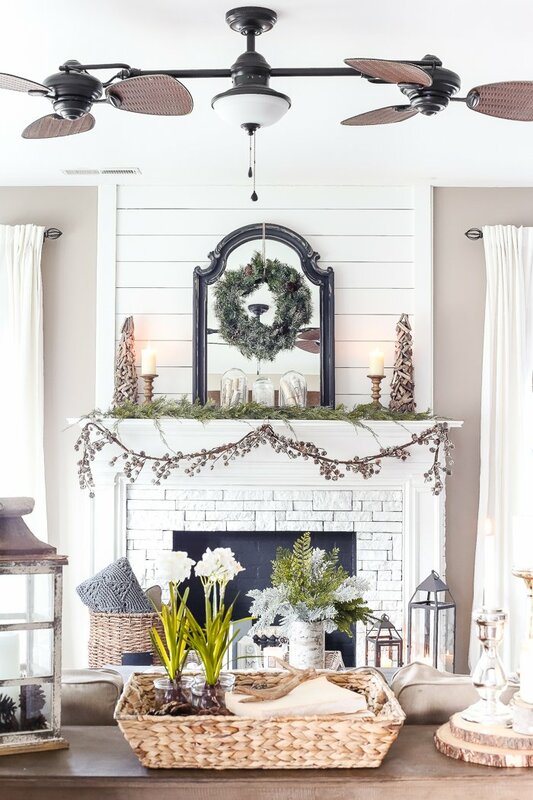 How warm and inviting is this neutral winter living room from Zevy Joy? 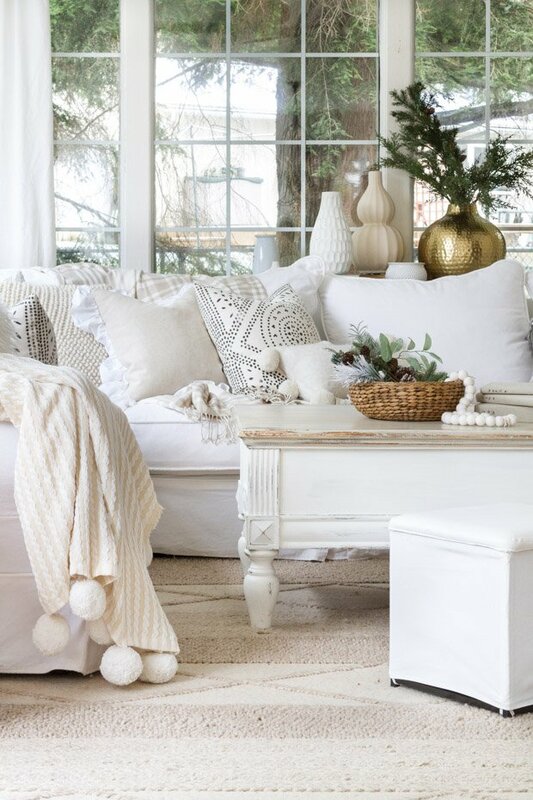 Just a few simple details like the cozy blankets and bit of greenery make this room perfect for winter. 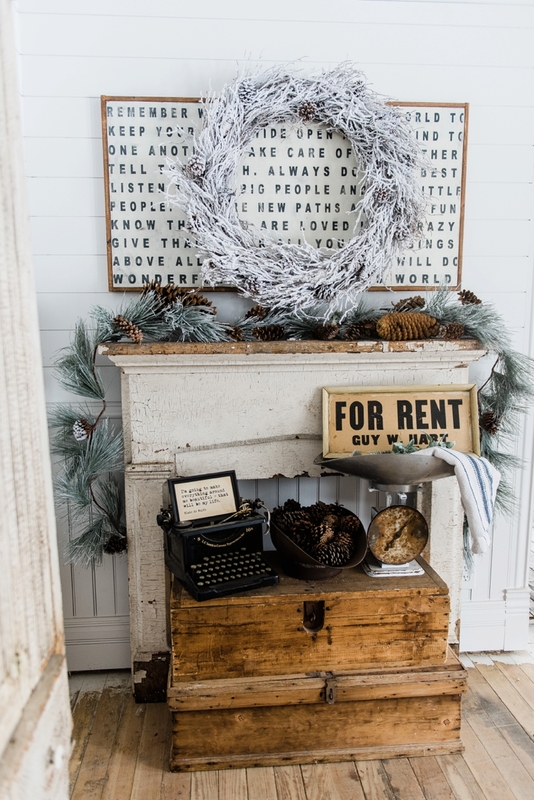 This rustic winter mantel from Liz Marie Blog is what farmhouse dreams are made of. A few pinecones and a winter wreath is all it takes. Just take a minute to absorb all of the beautiful details in this winter living room from Bless’er House. It’s absolutely stunning in every way possible. 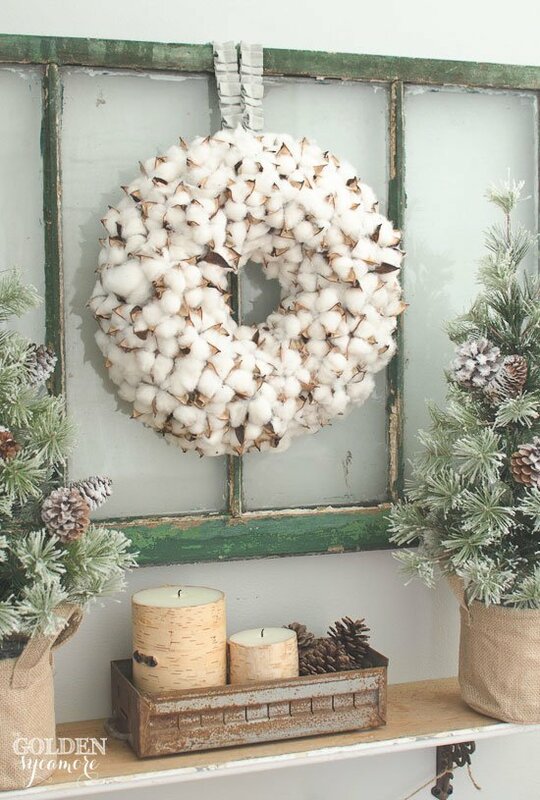 I adore this cotton wreath and these snowy evergreens from The Golden Sycamore. 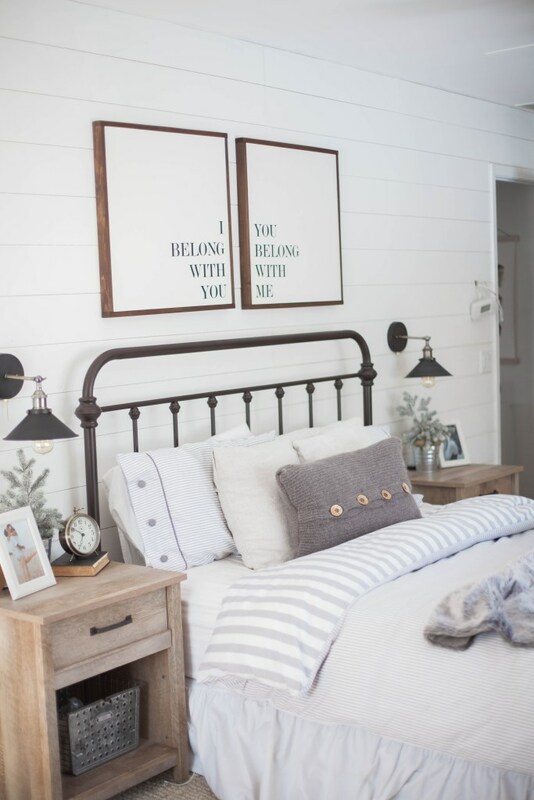 Anyone up for a long nap in this cozy winter bedroom from Hymns & Verses? I love all the different hues of gray, perfect for the cold days winter. 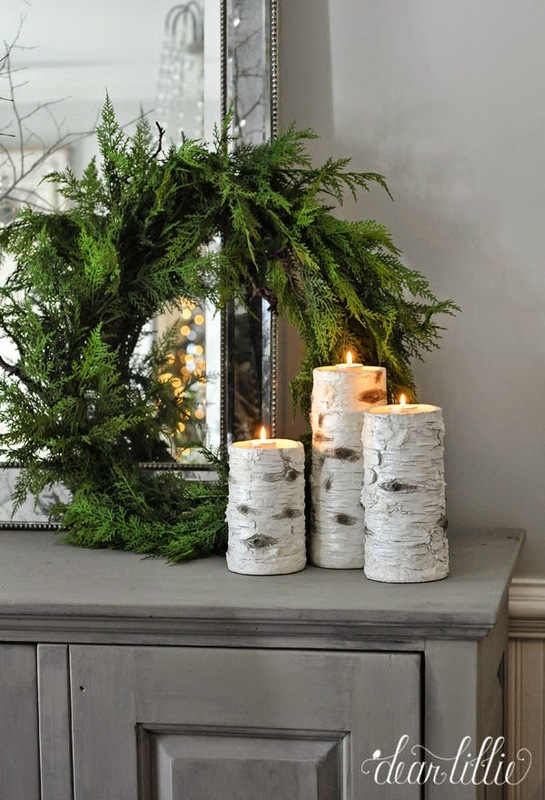 A simple, yet stunning winter vignette is complete with birch candle holders and a natural green wreath from Dear Lillie. 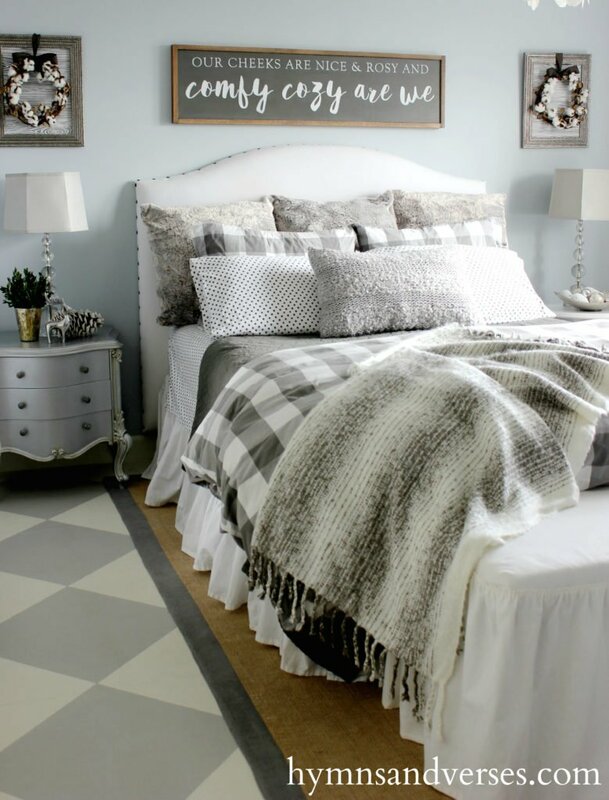 This gorgeous winter bedroom from Lauren McBride is seriously swoon-worthy. 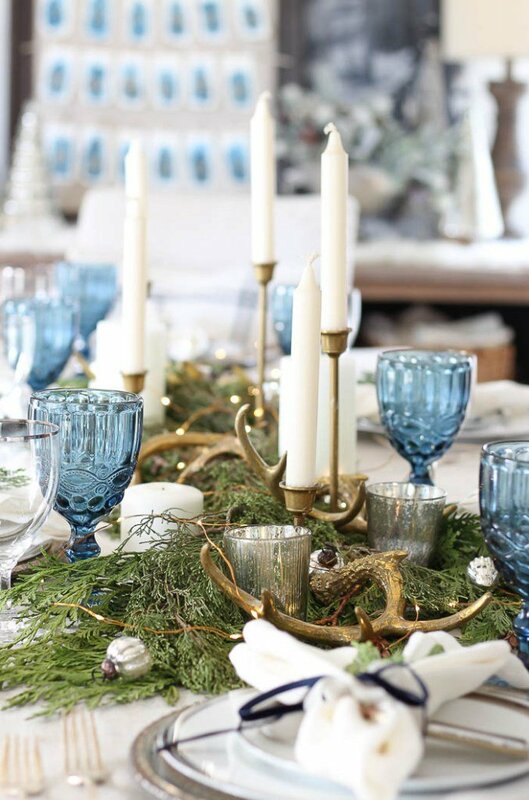 This woodland winter tablescape from Rooms for Rent Blog is sophisticated, yet rustic at the same time. 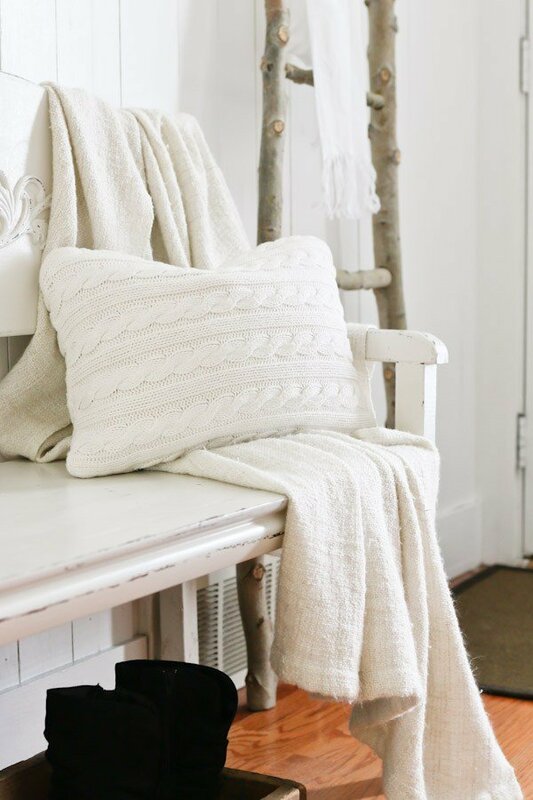 Winter decor is all about simple, cozy touches in this entryway from Tidbits. Just a sprig of greenery will do. 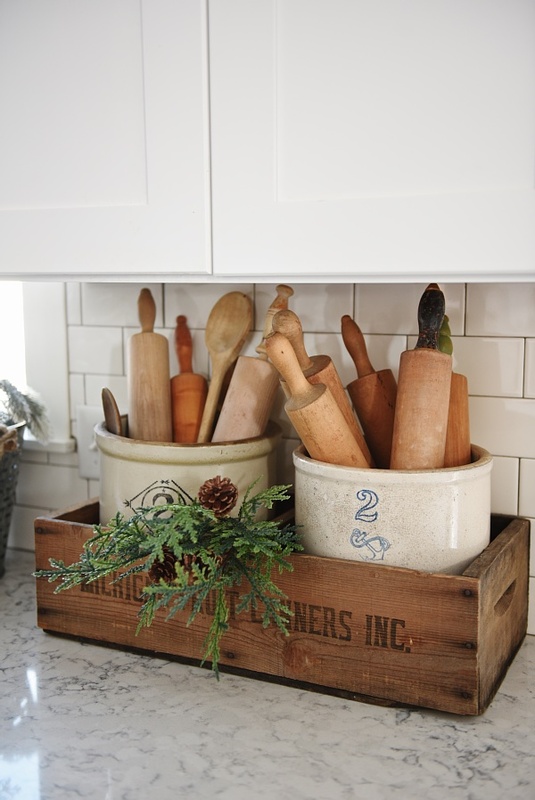 This vintage goodness is from Liz Marie Blog. 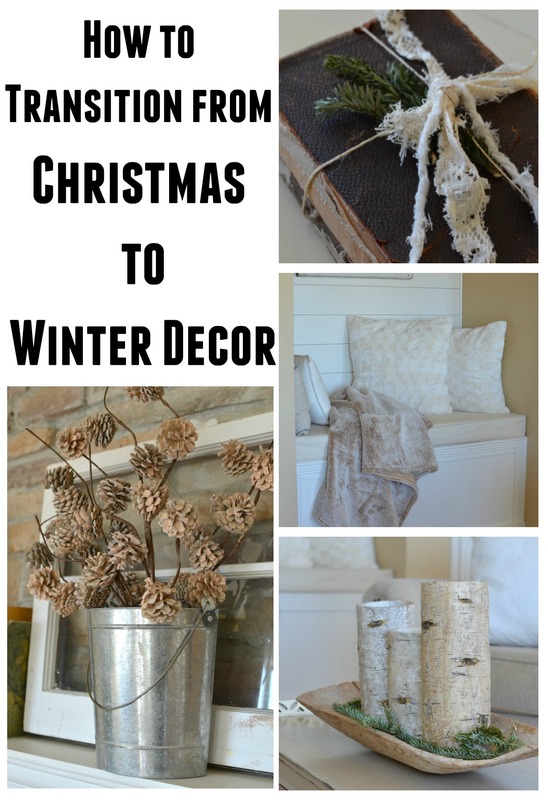 Winter decor is sooooo darn easy. It doesn’t have to be fancy or difficult. And I think these photos show just how beautiful winter can really be–it’s all about cozy blankets, greenery, and a few rustic touches. So if you’re feeling a bit uninspired in this awkward phase between Christmas and Spring, I hope today’s post gave you a few ideas. We’ve got a long way to go before the weather starts warming up, so we might as well enjoy it and make the most of it. Thank you from the bottom of my heart for stopping by the blog today. Your support means so much to me and I seriously appreciate each and every one of you that takes time to drop by and see what I’m up to! Oh my goodness! I love all of those blogs…these photos are so dreamy! Thanks for the inspiration! Aren’t they all so gorgeous?? Definitely a lot of talented ladies in that group! Thank you for sharing; have a blessed day. Stay warm and cozy. So beautiful and makes me just want to cuddle up with a cup of hot cocoa. In Hawaii, everything just goes back to normal after Christmas. December 26th- Christmas decor goes down and I never know what to do with my house! I sit in a now very bare looking home after being filled with lovely Christmas decor and can’t decide what to do. What colors do I use for table runners? Go back to fall colors? Too early for spring? It’s hot and sunny, so winter decor just doesn’t fit. Any ideas? Hats off to all of you who endure the freezing cold, I could probably never do it, but gosh, the winter season is beautiful. Of course, we only imagine the Hallmark Channel version of it. When we see the CNN version, we feel for you. If I was you Connie, living in beautiful Hawaii, I’d probably jump forward to Spring decor! Goodness, I can’t imagine how wonderful it must be to live in a warm climate like that year-round. It’s always been a dream of mine to live somewhere like that! Especially on a day like today, when it’s been foggy and snowy all day long. I’m sure missing that sunshine right about now. Enjoy it for me! Thank you Sarah! You are amazing. I was saying to my husband that after all the Christmas decorations are down I’m not sure what to do about decorating for winter. I truly appreciate the ideas and suggestions. Glad it was helpful for your Pam!